If your air filter looks like this, it’s time to replace it! Air conditioning is a vital part to most homes and especially in Texas. To ensure that your a/c is functioning smoothly, the air filters must be replaced regularly. Air filters remove dust particles in the air but that is not their primary purpose. Their main mission is to keep dust and contaminants from collecting on the evaporator coil and other components. If this happens, the rate at which heat is exchanged will be decreased. 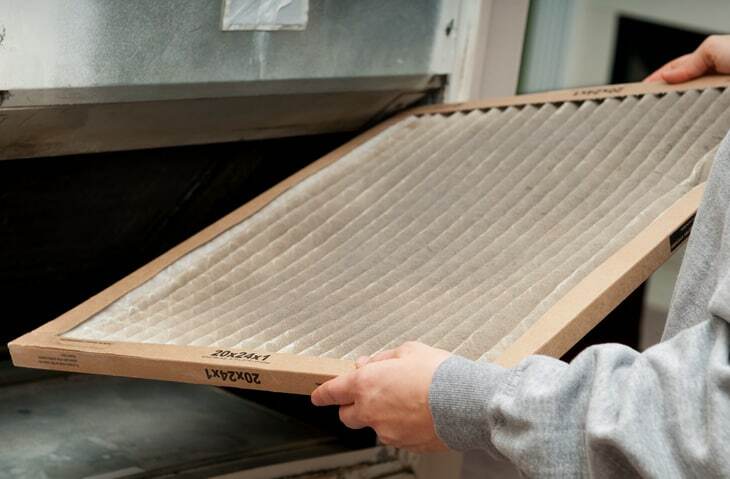 If you replace the air filter routinely you will prevent the buildup of mold, dust, and other allergens. Not doing so will have an impact on your health. Mold in your air conditioning system can cause several symptoms including chronic cough and wheezing. It will also increase the likelihood of asthma attacks. If you want a healthier home and to maintain an efficient air conditioning unit, the air filter must be changed at least every three months. 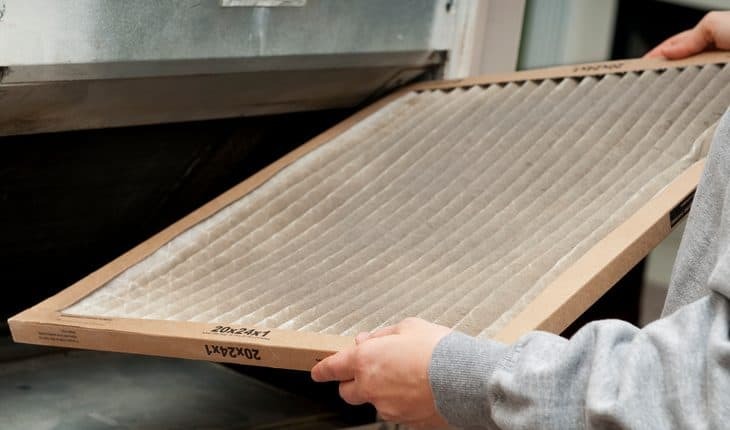 Living in a dusty or arid area may require you to replace the filters more often. If you are unsure about how often to change them, just pull them out and check. If the air filter is dark grey or looks “saturated”, it needs to be changed. When shopping for air filters, do not settle for the cheapest. If you can stick your finger through the filter with little or no effort or can see through it as you hold it up to the light, put it back on the shelf. High-quality baffled and HEPA filters are your best option. Set up reminders so you do not forget to change the filter. Calendar applications on smartphones allow you to set reminders months in advance. Order filters in bulk not only to save money but to have them on hand for when that reminder goes off. If you are strapped for time, sign up for our maintenance agreement and we will take care of it for you! Contact us today to find out more about our maintenance plans!